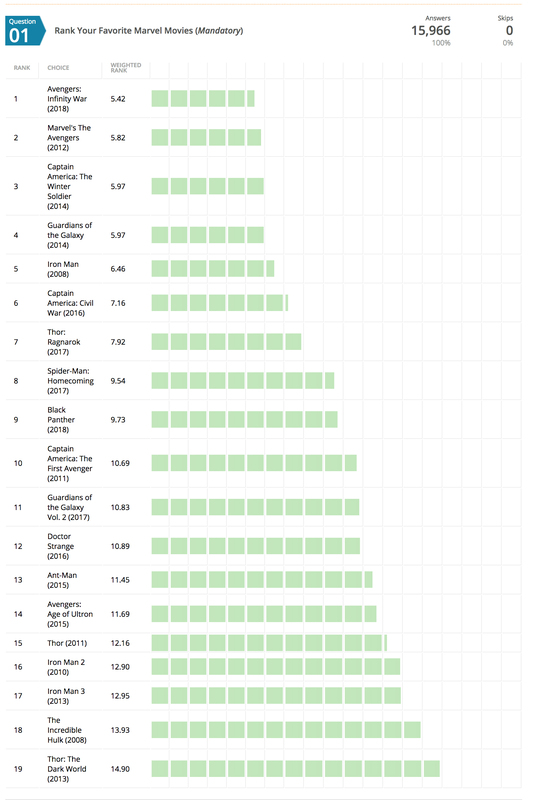 Poll Results: How Would YOU Rank the Marvel Movies? 10 years ago today Iron Man hit theaters — and just last week Avengers: Infinity War capped a 20 film run. They haven’t all been winners, but among those 20 films are some of the best action movies ever made. But now it’s time to choose. What’s the best Marvel movie from Phases One, Two, and Three? We polled you — and we took the poll as a staff — and the results are below.